Hi. Hoping to get a little help here. Bought a 2013 Cross Roads Classic at the end of last June with 15,500km on the clock. Tires are original Dunlop Elite 3. They were starting to crack, but nothing to concerning. Put about 7,500km over 3 months of riding. Pre winter storage inspection shows they are starting to cup so between age and cupping, new tires are in order. 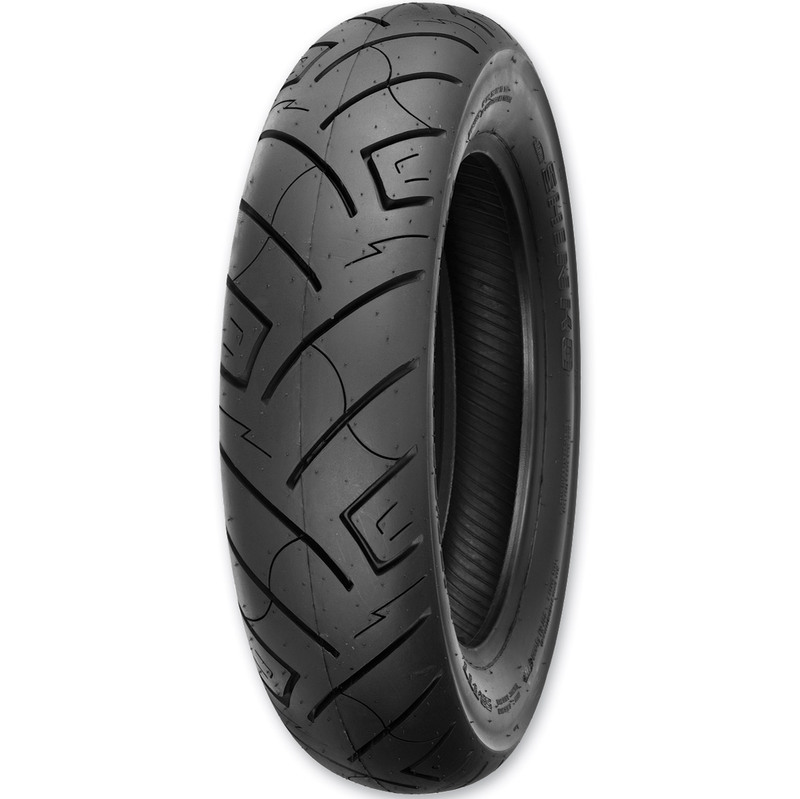 I was thinking Dunlop Elite 4s as direct replacement, but talking to a buddy who knows tons about bikes said I may want to consider a sport touring tire as it will provide better grip, all be it with a bit of a sacrifice on tread wear. Anyone tried this, if so what did you use? I run E4s. They work for me. I dont care for the Dunlap E sieres tread pattern. And mine on both bike (Yamaha and Victory) cupped and had a loud growel. So First change on the Victory I went with Contental Milestone I think they were. Nice tread design and wore well. Next I was in a bit of a cash bind and had run Shinkos previously on other bikes and was happy. So I got a Shinko 777. So far so good and the tread pattern is good in wet. pull back bars, passenger arm rests, HID Low beam, Silverstar Ultra headlight high beam,Drag Specialties Pillow Top seat with driver backrest. Glasspack mod Mufflers. Trailers are for when it's broke aint it? Your 800lb(360kg) XR will eat "sport-touring" tires alive....But there is an alternative...I swear by Avon Cobras, AV71 front \ AV72 rear. I'm 240lbs(108kg) and tend to ride hard, as well as doing plenty of two-up touring with my 150lbs(68kg) wife on the back. I get about 8,000 miles(12,900km) out of rear and double that out of the front. The Cobras provide phenomenal handing, as well as having good road manners and great wet traction. Motorbikerx and olddad64 like this. Man!..that is a beeeutiful section of road and you ride it real well! 1971 Buick Stage 1 (455) Black. I've got to get back to those Mountains soon!!! That said, its the Avon Cobras that give me confidence to hang the bike on the edge like I did. Looks like Avon has a $60 rebate on a set of tires until April 30. Ok, may have to check out what Avons are going for. Thanks for the info. I appreciate it. I ended up going Michelin commander II. I think that’s what they’re called. Read a ton of information about it last summer and that’s what I settled on. Of course got zillions of opinions about Bias versus radial but it came down to the fact that my local dealer (who I respect and like) said that most of their guys around there are having very good luck with them. And I wanted the higher mileage rating. So far so good I have no complaints. Yup ran a set of those on my RSV Yamaha. Put 15k+ on the rear. Very good tire IMOP. I would have went with those on the Vic but was strapped at the time.